A Photo Tour to India, Pushkar Camel Fair 2018, with a visit to the Taj Mahal, Elephant Safari ride, Optional Varanasi, Indian Tribes. Visiting the incredible cities of Delhi, Jaipur, Jodhpur. We will be in India during Diwali, the most important Indian Festivity. A joy of lights and music on the streets. Exploring out of the beaten paths locations. As an optional extension we will be visiting Varanasi , the oldest inhabited city in the world. 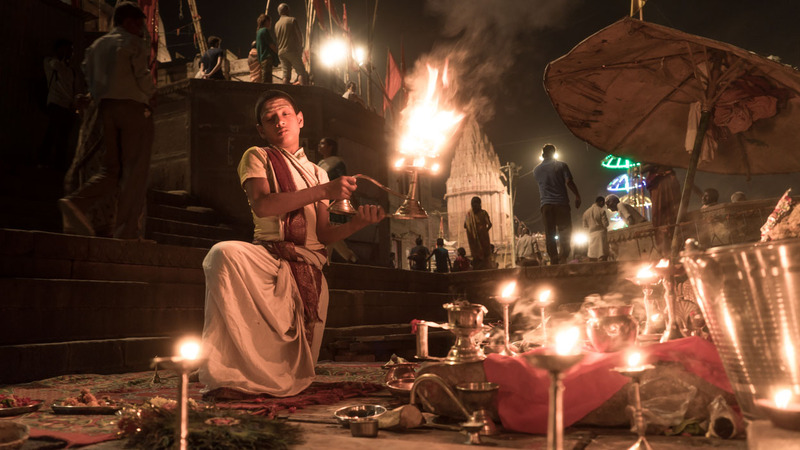 You can see here some of my personal work on Varanasi as well as some posts in my blog. This is where I took in 2012 the picture that won and later lost the National Geographic Photo World Contest. Capture the magic, life, and color of the one-of-a-kind, dynamic Pushkar Camel Fair with an internationally awarded photographer that knows the place and India. Get the chance to visit Bada Bagh, where the royal family members were cremated. The blue city of Jodhpur, the incredible alleys and back streets. Take a 4WD jeep safari to a few local villages in the middle of the desert. We will be off roading as we visit these desert communities, so hold on to your hats! The experience of enjoying photography with intensity and accompanied by a professional travel photographer that understands the secrets of this extraordinary city. Our Photo Tour to India, Pushkar Camel Fair 2018, takes you through Jaipur, Jodhpur in 9 days. As an optional extension we will visit Varanasi , the oldest inhabited city in the world. We will stay in and around Pushkar for nearly three days to fully capture the life and soul of the Fair, and then set off to explore the most extraordinary parts of Rajahstan. Not many other places and no other moment could provide the sheer amount of photo opportunities or the variety! In the desert of Rajasthan aside a quiet lake, is a normally sleepy town called Pushkar. But at the first full moon in November, this town bursts to life in a whirl of color and sound and vibrancy with the arrival of the Pushkar Camel Fair. Come on a 10 day photographic tour led by the talented and experienced Harry Fisch, who will take you deep into Rajasthan’s heart for the opportunity of a lifetime. Capturing this once in a life time event on camera is pure photographic joy. The sheer range of photo opportunities is unparalleled; from the hectic heckling and bargaining in the streets, the kaleidoscope of color of the stalls and clothes, the diversity of people, and the spinning movement of traders, pilgrims, and dashing cowboys, it’s a smorgasbord of chances to tell a unique and wondrous story. You’ll feel you’ve stepped into another world as you find your way through the sea of laughter, color, and of course, camels, against the backdrop of dusty tent camps dotted along the high golden dunes of the desert beyond. On the Optional Varanasi Extension (see bellow "Extension") we will expend some days in a city that represents all the spiritual and boiling India. We will get to know a different Benares to the one other tourists see. With time to enjoy our stay in contrast to the hustle and bustle of Shamans, boatmen, pilgrims, cows, tourists, barbers, and fake Sadhus. We will cross to the other side of the river where no one normally goes, to admire the city from another perspective and witness the daily coming and going of pilgrims. This tour doesn’t stop only at the fair, though. Beyond Pushkar is the rest of Rajasthan and Delhi with some incredible tales and surprises just waiting to be discovered. From Delhi, to Jaisalmer, Jaipur, Jodhpur, Manvar, and Udaipur, this itinerary has it all, and is logistically designed for photographers, maximizing the opportunities you’ll have to work with your camera, and presenting chances to meet and photograph the real Rajasthan that you can’t get anywhere else. It all starts in Delhi with a deep exploration of ancient forts, colorful markets, and the throbbing pulse that links the old city to the modern people living in it. From tiny artisan work spaces and private homes, you’ll have a chance to get up close and personal with the locals and shoot some interesting angles that are not as restricted as typical touristy photography. After Delhi we’re off to Jaipur, the Pink City, made of local pink stone. The landscape is punctuated by massive, glorious forts, extravagant palaces, and temples with sprawling, exotic gardens. Jodhpur is next on this palette of cities, known as the Blue City, dominated by the Mehrangarh Fort which surveys the bustling city from high atop a cliff. Inside this fort we’ll have a chance to work with low light and scenes playing out in front of impressive architecture. And then, from the top of the cliff on the fort’s balconies we’ll have a panoramic view of the entire painted city, sprawling like a sea of indigo out to meet the red-gold burning sands of the Thar Desert. We’ll explore the winding streets of this ancient place, photographing the people we find against the blue background of the buildings, with a few surprise private photo sessions as well. I joined Harry on two trips, the first across Ethiopia and another through Cuba. While I am well versed in traveling the world with my camera, Harry connected me with the people and the experience unlike anyone else in the past, helping me clean my photographic language, becoming more coherent. Taking a trip with Harry will not explore the explored and travel through postcards, but force you to breath the air of the place you occupy, understanding the story you wish to tell. Photography is experienced through immersion, Its a unique experience dancing with the villagers, communicating with those who cannot understand you and walk to the market with the tribes of Ethiopia. I highly recommend experiencing new places and telling a story with your camera with Harry. I became a better photographer . On arrival in Delhi, transfer to the hotel. Afternoon explore “Old Delhi” with its narrow dirt roads, its myriad people and inexpensive and colorful bazaars that keep alive the traditional workmanship for which Delhi has always been famous. We will reach the heart of Chandini Chowk (the old city). Negotiating alleyways, which seemingly get narrower and narrower we end up at the Jama Masjid, the largest Muslim mosque in India. Afternoon photography of Agra Fort and evening at Taj Mahal. is another dimension to the city. Built by Akbar in Red Sandstone when he was through with the consolidation of his power after accession to power in 1654, Agra Fort worked both as a military strategic point as well as the royal residence. Most of the buildings within the Agra Fort are a mixture of different architectural styles. The assimilation of these different styles has given the buildings within the fort a distinctive look. Late afternoon photograph Taj Mahal from other side of the river. Taj Mahal is best experienced at sunrise when the light reflects off the marble to give it a magnificent hue. The Taj Mahal was built by Emperor Shah Jahan over a period of 17 years from 1632, in memory of his beloved late wife Mumtaz Mahal. A world Heritage site, it is one of the wonders of the modern world and you will be enthralled with its ethereal beauty. We will enjoy street photography in Jaipur. Jaipur is popularly known as Pink City. With its rich & colorful past, resplendent with tales of valour & bravery, it is now one of the most important heritage cities in India. The city was founded in the year 1728 by Maharaja Sawai Jai Singh II, the ruler of Amber. Afternoon drive to Dera Amer, situated behind the hills of the famous Amer Fort. Dera Amer is located at the foothills of the Aravali Range and surrounded by the wilderness of a reserved forest with no urban civilization in the vicinity, just a few hamlets housing the local villagers occupied by farming on the their fields bordering a pretty lake. After a traditional lunch in the dera (camp) we will proceed for an elephant safari in the wilderness. In the evening return back to Jaipur for overnight stay. En route, visiting the palace of winds the Hawa Mahal. An enormous building from the 18 century having 953 windows and niches so that ladies of royal family could see the procession and events in the city without being visible to the people. Enjoy an Elephant ride to the top of the Palace of Amber City Fort with the Aravalli hills around and 11 km north of Jaipur. It was the ancient capital of the Kachhawaha Rajputs till 1037.Later drive to Pushkar, upon arrival, we will check into our Swiss tents. Each of these tents has private attached toilets with running cold water. Hot water will be provided in the morning and evening. There will be proper beds as well as electricity in each tent. We'll have three days to revel in the amazing spectacle called Pushkar. Thousands of camels, horses and cattle, along with their owners, camp in the sand dunes. Trade goes on day and night and brisk deals are made an animals exchanged. It is an assemblage of men with large colorful turbans, women wrapped in exquisite jewelry from head to toe, and children dressed in stunning, traditional attire. The fair is primarily devoted to the trade of camels, sheep, horses and cows. Their owners persuade and haggle, trying to sell them at the most competitive prices. The festival also offers the women an opportunity to purchase a huge variety of jewelry and so they come to mingle and browse while their menfolk barter. The stalls sell everything imaginable, richly colored clothes, as well as tattoo shops, food, and fine metal work. And of course, there is entertainment! Jugglers and fire dancers perform for the crowd. As the fair nears its climax, various competitive events are held, such as camel races, musical chairs, and beauty contests. All in all it makes for a photographer's delight. During this time, will also visit the Brahma temple as well as Pushkar Lake where thousands of people bath every day. The Temple of Brahma is the only temple in the world where Lord Brahma is still worshipped, and so understandably it is the main attraction at Pushkar. The Temple has a special position in Hindu pantheons. Pushkar Lake has immense significance for the followers of Hinduism. According to the legend, the lake was dedicated to Lord Brahma after a lotus fell from his hands and dropped into this picturesque valley. A lake sprang up on the same spot, which called a convocation of the entire Hindu pantheon, and it is now considered holy. After breakfast drive to Jodhpur. On arrival, check-in to the hotel. Jodhpur, the second largest city in Rajasthan & has landscape dominated by the massive Mehrangarh Fort topping a sheer rocky ridge. Late afternoon photographic exploration of the “Old Blue City” as well as the medieval bazaars of Jodhpur. So named because of the blue indigo used in the white wash of the houses, this area of Jodhpur is a delight for the photographers. After breakfast visit the Mehrangarh Fort (Majestic Fort), one of the most impressive & formidable structures anywhere in India. Built by Rao Jodha, this 5km long Fort is on a 125m high hill & has some magnificent palaces with marvellously carved panels latticed window. Afternoon jeep safari to the Bishnoi villages near Jodhpur. The Bishnoi is a religious tribe who preserve the bio-diversity and animals. Also enjoy a good lunch amid the 19th century walled orchard the Maharani Bagh Orchard belonging to the Royal family. The orchard is full of bougainvillea and fruit trees predominantly mangoes. Afternoon transfer to airport to board in flight to Delhi. As an optional extension we will visit Varanasi , also known as Benares or Kashi, the oldest inhabited city in the world. A city that represents a spiritual, thrumming India. We will get to know a different Varanasi to the one other tourists ever see, with time to enjoy our stay in contrast to the hustle and bustle of Shamans, boatmen, pilgrims, cows, tourists, barbers, and fake Sadhus. We will be in Varanasi calmly, with time to enjoy our stay in contrast to the hustle and bustle of Shamans, boatmen, pilgrims, cows, tourists, barbers, and fake Sadhus. We will cross to the other side of the river where no one normally goes, to admire the city from another perspective and witness the daily coming and going of pilgrims. We will stroll though the back streets of the ghats, the alleys, and discover temples outside the normal tourist route. We will meet people there, and wait for the certainty of the unexpected to happen. 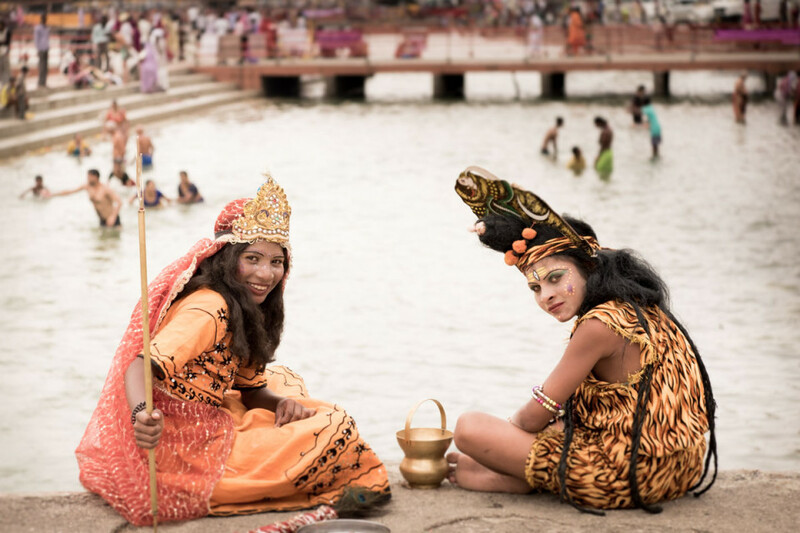 Our days will be really busy reaching the Ghats to photograph, amongst remains of wreaths and cremation ashes, Brahmins offering ritual shaving, dressed bathing women. Bearded, hirsute Holy Men, bare feet, watching stunned families bathing dressed in bright Indian saris. Groups of pilgrims down the huge wooden barges. Then the calm of our hotel, attending dinner before the night ceremony. In the calm of "our" Ganges. We will go down the sacred river in our boat and visit an “akhara”, a gymnasium where Kusty fighters train and compete. If we are lucky we will be able to make a photo coverage of their workouts. Prices for double rooms, double occupancy. A limited number of single rooms are available . - Private air-conditioned vehicle during the tour. - Only at Pushkar Fair: Tented Camp. Swiss tents with private attached toilets with running cold water. Hot water will be provided in the morning and evening. There will be proper beds as well as electricity in each tent. - Tutoring by photographer/expert Harry Fisch. - Personal extras, such as drinks, laundry, telephone, etc.